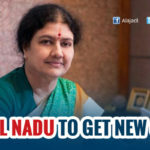 In a fresh twist to Tamil Nadu politics, Chief Minister O Paneerselvam on Tuesday said he was forced to resign and clear the way for Sasikala who was on Sunday made the legislative party head of the AIADMK. He said, I will take back my resignation if party workers and people ask me to. He said that he was guided by the spirit of late chief minister J Jayalalithaa to come out and share “some truths” with the AIADMK cadres. 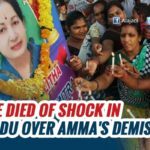 In a dramatic press conference outside J Jayalalithaa’s memorial at Marina Beach late in the evening, Mr Panneerselvam claimed he was the chosen successor of the former Chief Minister, who died in December. 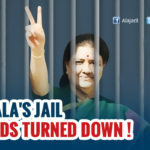 Long after midnight, Ms Sasikala, Jayalalithaa’s long-time companion, summoned lawmakers for a show of strength and announced that Mr Panneerselvam would be expelled. AIADMK lawmakers are meeting this morning over the first such internal crisis in a party headed by Jayalalithaa with an iron hand for decades. He could certainly tell the Governor that he had been threatened to submit his resignation and that he still has the support of the MLAs, based on which the latter can ask him to prove his majority in the assembly even if Sasikala stakes her claim. If the Governor wants to use his discretion and appear fair, he can take it as Sasikala’s claim versus OPS’ claim and ask them to prove their majority in the assembly. In such a situation, OPS can continue to be the Chief Minister at least till the end of next week. And also there is verdict in the crucial disproportionate assets (DA) case in which Sasikala is a co-accused. If the verdict goes against her, that will be the end of her story.